Advice for Hosting Your Website – There are many Web hosting companies that claim to be the best or the cheapest. VISIONEFX communicates with different hosting companies every day. 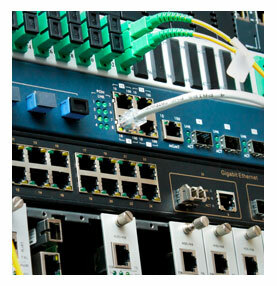 We also log into the control panels and deal with hosting servers on a daily basis. Some of these hosting companies include; Go Daddy, Host Gator, iPower, Brinkster, Network Solutions, Web.com, Register.com, Host My Site, Hosting.com and many more. The three most important components of a great website hosting plan are Ownership, Product and Support. Owning and controlling your website hosting has never been easier. Do not be fooled by companies who offer’ turn-key website plans’ for complete management of website hosting and assets. Don’t put this amount of power and control in the hands of any third party! VISIONEFX has found that a robust c Panel (Control Panel) and other tools for server access can make a different for getting website issues fixed fast. While most businesses are hosted on a shared web hosting server, it is well worth considering upgrading to a VPS hosting server that will provide you more horsepower and server functionality. A poor hosting plan can mean; long down-times, slow loading website pages and vulnerability to hacking, spammers or infections. VISIONEFX works 24/ 7 to get the job done because my clients expect me to resolve Web site problems in a fast, expedient fashion. You should expect no less from a Web site hosting provider. A hosting provider should have a good support system in place to include; Short phone support hold times, Live Chat and an online ticket system. If you have to wait longer than 5 minutes in a phone queue; find another hosting company.